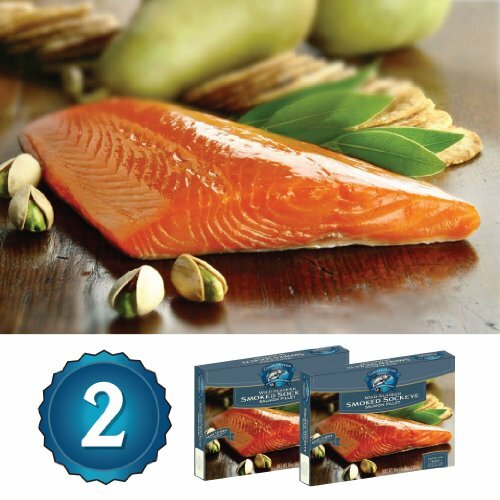 Alaska Copper River Salmon is the connoisseur's choice of Wild Alaska Salmon. 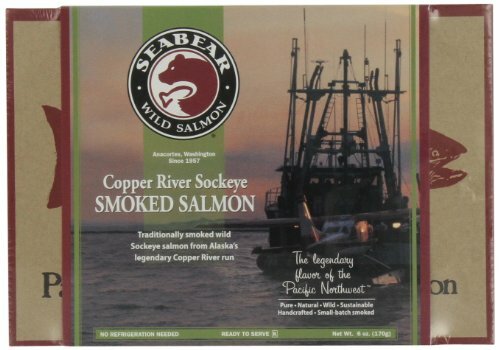 Wild Copper River Salmon come from the pristine, glacial-fed waters of Alaska. Alaska's Copper River is host to the Northwest's most celebrated salmon run. Glacier fed, the Copper River barrels through the treacherous Baird and Wood Canyons, creating an icy cold, turbulent journey for returning salmon. The Copper River Sockeye Salmon arrive at our smoke house in Cordova, Alaska within 24 to 36 hours from the time they are caught. The fish are filleted by hand to ensure the highest quality possible, then put into our traditional curing brine, which gives it the delicious taste that our smoked salmon is famous for. 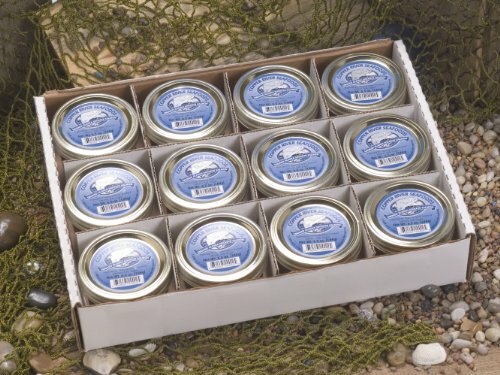 The cured salmon is then smoked to perfection with natural Alderwood. 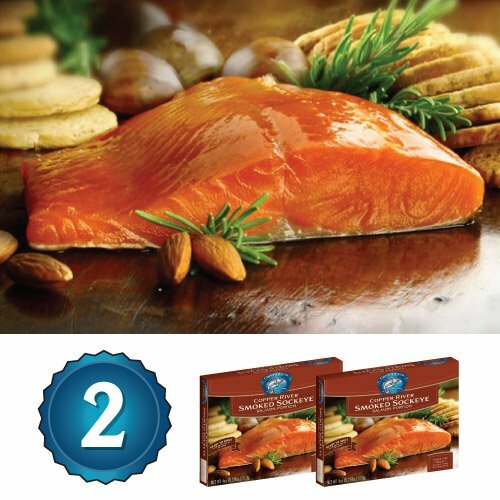 Finally, the salmon is hand packed into a gold foil pouch and cooked in its natural Omega-3 oils. Simply place onto crackers with cream cheese and serve!